in GBP, GBP to NOK, Other. Brexit uncertainties weren’t enough to pressure a volatile Pound (GBP) this week, as the Pound Sterling to Norwegian Krone (GBP/NOK) exchange rate has benefitted from UK retail data and a cautious tone from the Norges Bank. After opening this week at the level of 10.79, GBP/NOK spent most of the week tumbling due to higher risk-sentiment and Brexit uncertainties. GBP/NOK touched on a three-week-low of 10.70 this morning before the day’s key news came in. After the Norges Bank policy decision and Britain’s retail sales were published, GBP/NOK surged over 1% and is currently trending near a weekly high of 10.84. The Norges Bank hiked Norway’s interest rates this week as expected, but indicated that the pace of future rate hikes may be slower than markets expected. Meanwhile, the Pound found a boost in demand following the publication of August’s UK retail sales results, despite concerns about deadlocks in UK-EU Brexit negotiations. This week’s UK data has generally been stronger than expected, and despite the market focus on progress in Brexit negotiations this has helped the Pound to strengthen and avoid worse Brexit-influenced losses. Today’s UK retail sales report from August was notably supportive, bolstering the Pound versus most major currency rivals. UK retail sales were forecast to have fallen to a contraction of -0.2% month-on-month, but instead merely slipped from a revised 0.9% to just 0.3%. The previous yearly figure was revised higher from 3.5% to 3.8% and slipped to 3.3% rather than the expected 2.3%. The data was a welcome surprise to Pound bulls. Sterling had previously been weakening on concerns that the UK and EU would not be able to reach an agreement on the issue of Ireland’s border post-Brexit. As was widely expected, the Norges Bank hiked Norway’s exchange rates today from 0.5% to 0.75%. It was the first interest rate hike from the bank in seven years and was due to faster economic growth and inflation. However, the bank notably took a more cautious outlook on when further interest rate hikes could be expected and indicated that more rate hikes would only be gradual. Initially, markets had been expecting around three Norges Bank interest rate hikes in 2019 and potentially another before the end of 2018 too. The bank’s language today though, suggested that only around two more interest rate hikes are likely by the end of 2019 – with the next one likely in March 2019. This caused investors to sell the Norwegian Krone (NOK). As uncertainties persist about whether or not the UK and EU will be able to agree on key Brexit issues, such as Ireland’s border, the Pound’s strength is still limited. Investors are more likely to buy the Pound to Norwegian Krone (GBP/NOK) exchange rate even higher if there are optimistic developments in Brexit negotiations in the coming days. Any signs that UK-EU Brexit negotiations are still accelerating, higher confidence from negotiators that a deal can be reached, or any positive news about deadlocked issues like the Irish border, could all make the Pound more appealing. On the other hand though, if UK-EU negotiations once again go for a while with no notable progress, fears of a worst-case scenario ‘no-deal Brexit’ could worsen again and GBP/NOK could tumble. As for the Norwegian Krone, it is unlikely to see another notable boost in demand before the end of the week. However, it could see some additional support if risk-sentiment rises, or if prices of oil strengthen notably. Oil is Norway’s most lucrative commodity, so the trade-correlated currency often reacts to trade and oil developments. 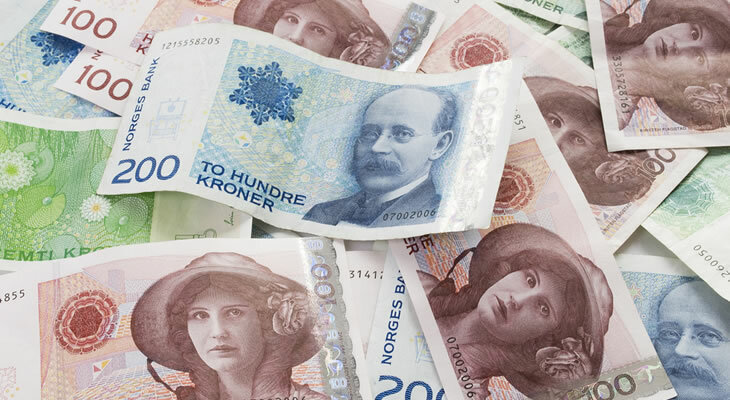 Norway unemployment and retail sales data, as well as UK consumer confidence and growth rate figures, are likely to come into focus for the Pound to Norwegian Krone (GBP/NOK) exchange rate next week. Previous ArticlePound Sterling to South African Rand Forecast: Are GBP/ZAR Gains ahead on UK GDP Growth? Next ArticlePound Sterling to Japanese Yen Exchange Rate Forecast: Will Brexit Breakthrough Trigger GBP/JPY Rise?